Those cows have to eat, and much of them survive on rangeland. The University of Idaho says more than 80 percent of the county is owned by the state or federal government. Most of that land is rangeland private landowners use to graze their livestock. John Thompson is with the Idaho Farm Bureau. He says a lot of ranch operations will be hit hard by the fire. “It’ll be tough for some of those families," says Thompson. Thompson says first ranchers have to find their cattle, which may have been dispersed, or killed, by fire. 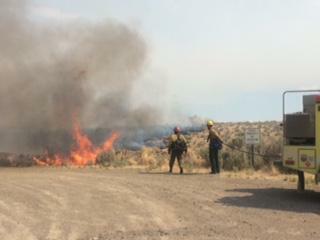 The cows will need food, but the fire has burned up thousands of acres of rangeland. The next option is for ranchers to buy up hay — a purchase that can be extremely pricey. The biggest counties for beef production are Owyhee and Custer County. A lot of cattle in Owyhee County are left on pasture all winter, without a lot of supplemental feed. 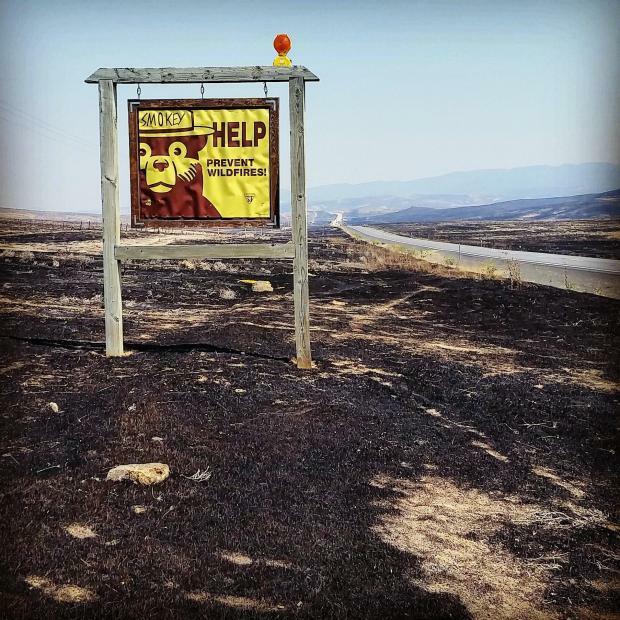 That could be a problem, if the pasture has burned up in the Soda Fire. Thompson says the Soda fire will cause a lot of damage for ranchers before it’s out. “It’ll disrupt their lives and their businesses but they find ways to work around it. They’re very resilient people," says Thompson. 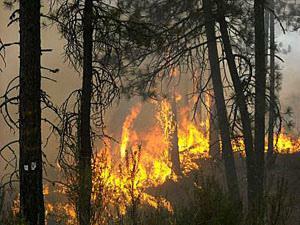 The fire damage can be long-term because it can take two or three years for the rangeland to heal. Sometimes it takes even longer. That means the land is off-limits to the cows, forcing farmers to find another way to feed their cattle. In the meantime, many ranchers will resort to buying hay. Hay prices change frequently in this mostly-unregulated industry, but Thompson says they are pretty good right now. Idaho is a hay deficit state because of the dairy industry. That means a lot of hay is brought in from out of state for milk cows. Local hay usually gets snapped up too, for dairy. That means beef ranchers often struggle to find enough hay. But this year, Thompson says a lot of local hay was rained on after it was cut. That reduces the quality of the hay and dairies don’t want it. It is referred to as “Feeder Hay,” which is good for beef cattle. He says there’s a lot of feeder hay around for a reasonable price compared to the last few years. Top quality hay can go for $250 a ton, while feeder hay is selling for $80-$100 a ton. Thompson says paying for that hay is usually up to the ranchers. Cattle owners can insure their animals and can buy crop insurance for their own land. But ranchers that use federal land to feed their animals can’t buy insurance to cover something like wildfires. So they’re stuck paying the bill in times like these. If ranchers can’t afford to feed the cows, Thompson says they will have to be sold off. 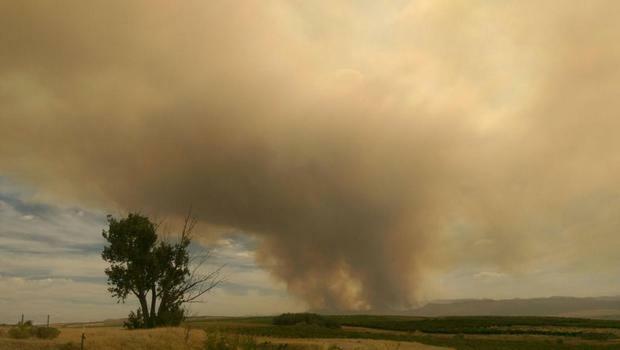 Governor Otter issued Owyhee County a disaster declaration Saturday afternoon to provide assistance to the communities that have been affected by the Soda Fire. With favorable weather conditions over the weekend, firefighters made headway to reinforce and secure containment lines and mop up unburned islands. The cooler temperatures and decreased winds bought crews time to look for potential problem areas in preparation for a cold front with wind gusts arriving Monday afternoon. 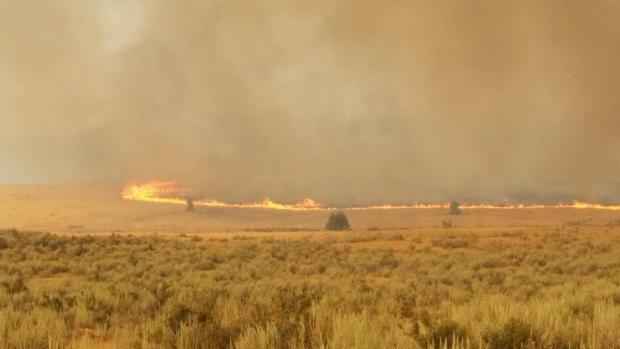 Firefighters across Idaho braced for tough conditions Friday with strong winds predicted along with temperatures around 100 degrees and dry lightning in the evening. 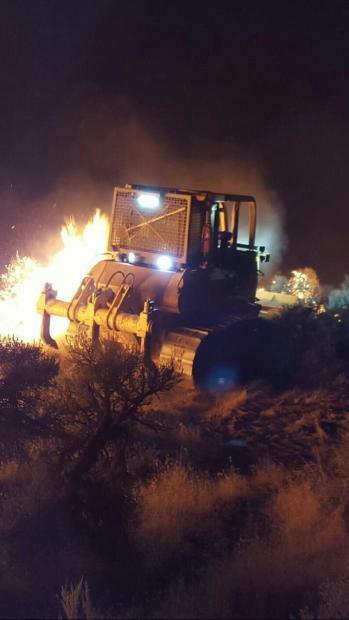 Fire managers say they've had some success putting in containment lines on the 340-square-mile Soda Fire in the southwest part of the state straddling the Oregon border. But containment is only 11 percent. More than 400 firefighters are assigned to the blaze that's also drawn about a dozen aircraft. This story was originally published on August 26, 2013. 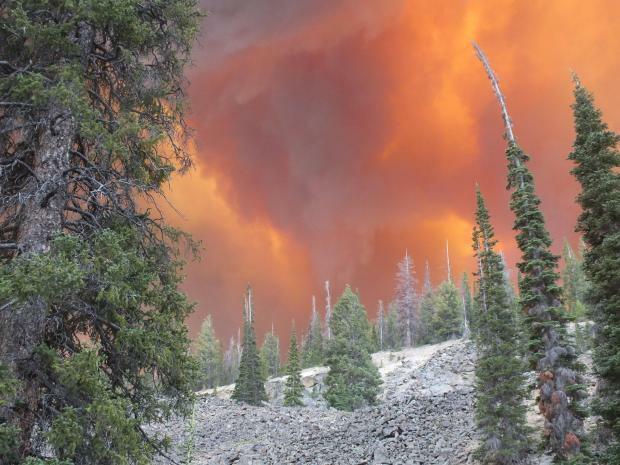 Lawmakers from Idaho and Oregon say they are renewing efforts to change the way the country pays to fight catastrophic wildfires, arguing that agencies should be using natural disaster dollars rather than money set aside for fire prevention. Republican Sens. Mike Crapo and Jim Risch of Idaho and Democratic Sen. Ron Wyden of Oregon announced Wednesday that they are getting ready to pitch bipartisan legislation to Congress this fall.